Happy Tuesday loves! I'm sure by now it's no surprise to anyone to hear me say that Key West is one of my favorite places. The laid back vibe, the absolutely perfect weather, the history, the sunsets, the sunrises, the drinks... you could say I love it all. 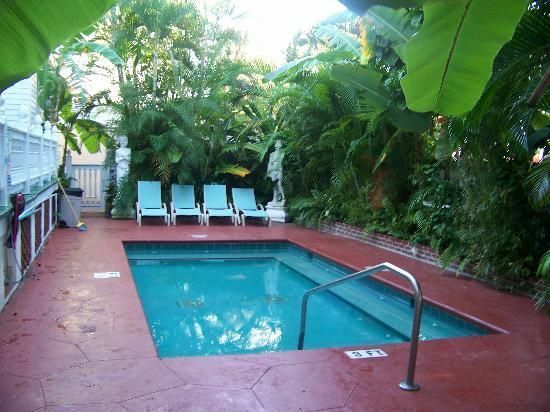 But one of my favorite things about going to Key West is where we stay when we go. The Southernmost Point Guest House provides the ultimate Key West hospitality with the most gorgeous grounds and rooms you could imagine. If you're looking for the ultimate Key West experience, look no farther. 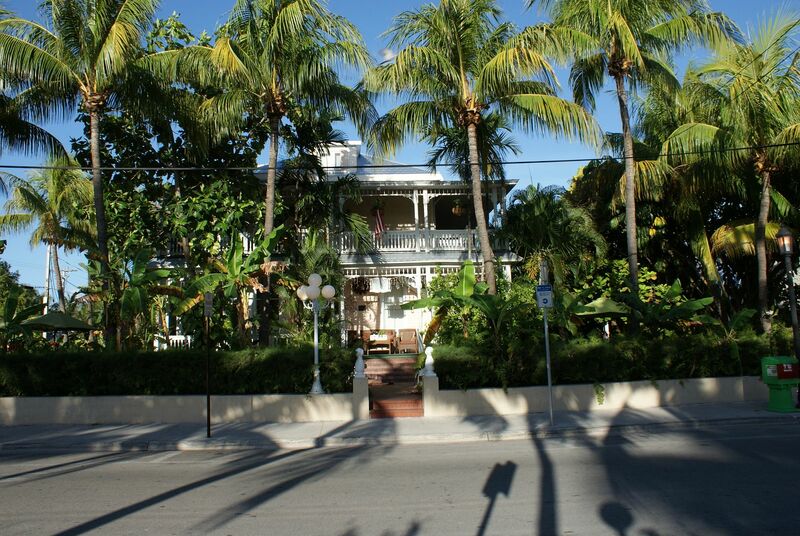 Located on world-renowned Duval Street, The Southernmost Point Guest House puts you on the quiet end of all the action but still within walking distance to all of the amazing shops, restaurants and of course bars that Key West has to offer. Literally steps away from South Beach and the Southernmost Point marker, The Southernmost Point Guest House is perfectly situated for spending the afternoons at the beach or sightseeing and the evenings at one of the many bars Key West has to offer. Immediately upon arriving at The Southernmost Point Guest House you are greeted with gorgeous private gardens with inviting hammocks and a beautiful property that makes you feel like you're in your own sanctuary. The grounds are so lush and green that you're almost able to forget all of the hustle and bustle going on just on the other side of the wall. The rooms all vary in size but our room was rather large and airy, complete with a small kitchen and enough room for us to stretch out and feel at home but let's be real, you're in Key West, you aren't going to be spending much time in your room! The pool is small and more of a Jacuzzi than a pool but it was perfect for relaxing outside while enjoying the free wine happy hour The Southernmost Point Guest House offers their guests every evening. Definitely the perfect way to start our nights during our stay. Not only do you get free wine happy hour but you also get free breakfast every morning. The breakfast menu is actually extremely diverse, you can get everything from eggs and bacon to bagels and fruit, definitely something for everyone. It looks like it's a cute little place to get away and experience the fun of Key West! Glad you had such a good time! Looks like such a fun place! I would be fine with staying on the hammock alone for a weekend. 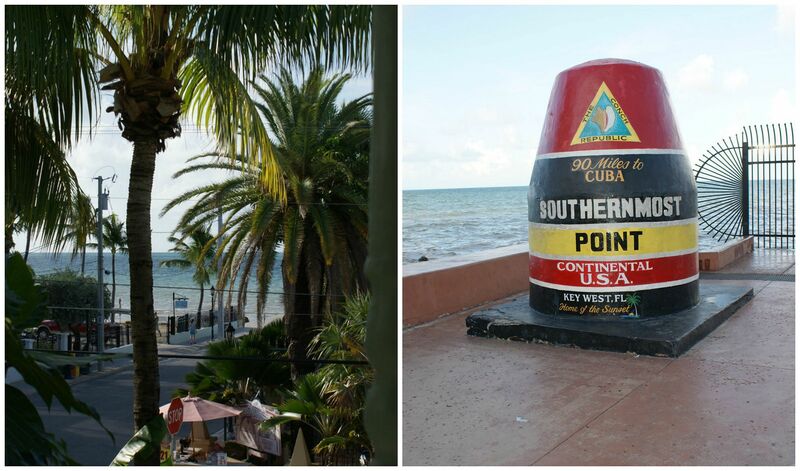 I love Key West and the Southernmost Point truly embodies everything about the charm and hospitality of the area! Definitely keeping that on my list for the next time we go! I've always wants to visit Key West! We've been watching the show Bloodline which is filmed in The Keys and it makes me want to vacation there even more! How fun! I've been wanting to get to the keys since I moved back down to Florida. What a fun trip! 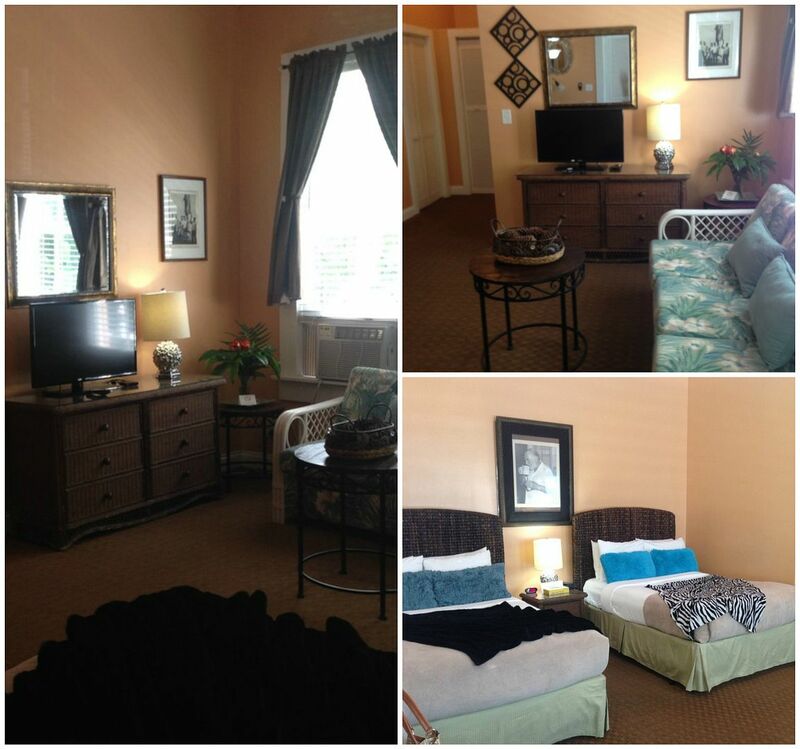 I love Bed and breakfasts and this one looks adorable and the perfect location! Now I want to go to the keys! What a fun place to be!! Love the photo of you on the porch!! So cute! I haven’t been to Key West yet, but really want to! The water looks beautiful there! I've never been to Key West but it's on my short list to visit. Looks like a beautiful place! um i think we need to go there asap! then blog the crap out of it! hehe. key west is added to the list! I love Key West so much! You are making me want to visit again! I will have to check that place out next time! OMG this looks amazing! What a beautiful vacay! That looks like such a sweet place! Key West is on my list of places to go and this looks like the perfect little spot to visit! This is such a cute place to stay!! Key West is high up on our bucket list - it looks like the best time! What a perfect little staycation! Ah, I'm dying for a trip to the beach! 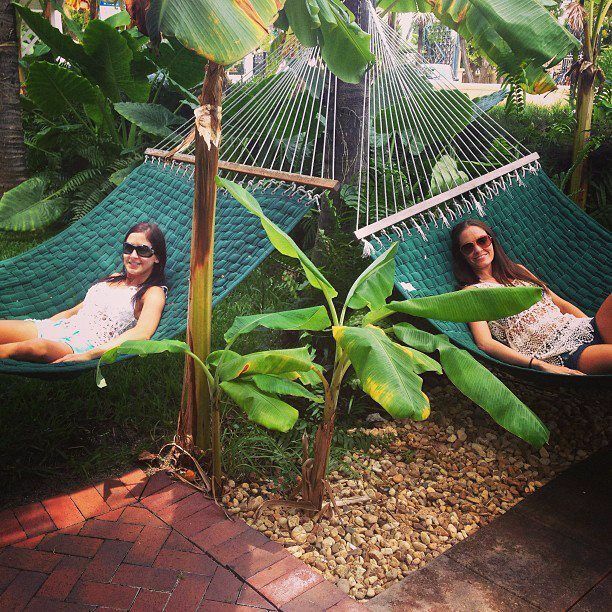 Key West is definitely on our vacation destination list! i have never been to key west! but it's on my place to see! gorgeous. Yes please! We LOVE traveling and clearly need to add Key West to our list! What a fun place. I have never been to Key West but have always wanted to go. I'd definitely love to visit there one day! I've been itching to go to Key West for a while now...probably cause of you lol but I'll keep your guest house in mind when we finally make it there hopefully for my birthday later in the year! My hubby is dying to go to Key West. It is on our short list of places to hit. This looks so quaint! Key West is really fun, I was surprised by it on my first trip, it was not what I had expected! Well, I officially am ready for a vacation! ;) I've always wanted to go to Key West! My parents went last year and I couldn't get over their gorgeous photos! That bed and breakfast sounds fabulous!!! I am due for a vacation like yesterday! Looks like you had a great time! This sounds amazing right about now. JEALOUS! We're talking about going to Key West next year in the fall! We got to spend a day in Key West when we went on a cruise and it was amazing! I remember seeing that hotel - we actually considered it as a place to get married! I would love to visit Key West. I mean - just beautiful!